3 Days To Kill can be seen on M-Net City (channel 115) on January 18 at 20h50. Kevin Costner is in fine form in this action thriller about an international spy looking to quit. That is, until he’s given a chance to save his life by completing one last mission. 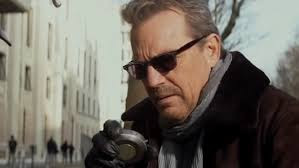 Facing a terminal disease, spy Ethan Renner (Kevin Costner) has decided to give up his dangerous, high-stakes life in order to rebuild his relationship with his estranged wife and daughter (Hailee Steinfeld), whom he previously pushed away to keep them out of harm's way. However, in exchange for a potentially lifesaving drug, he must complete one final mission: apprehend one of the world's most ruthless terrorists while looking after his teenage offspring in her mother's absence.